Georgia law allows couples to enter into a contract prior to marriage – a prenuptial agreement – that sets forth rights and obligations during the marriage and in the event of separation, annulment, or divorce. Prenuptial agreements can be used to keep premarital property separate, provide for and protect one or both spouses financially, and prevent costly legal battles should the marriage end. In the event of a divorce, your property and debts will be divided and your financial lives will be split, not matter what. If you have a prenuptial agreement, however, you and your partner can agree in advance on an arrangement that works for both of you. If you don’t have a prenuptial agreement, state law will determine who your assets and debts are divided. It is important that both people have independent representation to help them in the negotiation process. Even, and especially, if your partner already has an attorney who prepared a prenuptial agreement, you should retain your own attorney to review the proposed agreement and ensure your interests are fully protected. Not only does this make the process more fair, as each side has an independent advocate, it makes it more enforceable because neither party can later claim they did not understand what they were signing if they’re represented. 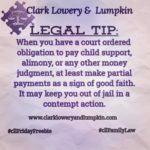 The attorneys at Clark Lowery and Lumpkin can advocate for you by creating or revising a prenuptial agreement before you get married, help you change the terms, should you want to, once you’re already married or help you negotiate for cancellation if you no longer want the prenuptial agreement in place later in the marriage. There is a common misconception that premarital agreements are only for wealthy people, but they can be useful for many couples in many different situations. Anyone who owns assets, has debts, or has children from another marriage may want to consider making a prenuptial agreement. A well-written prenuptial agreement can help set the stage for a harmonious marriage and an easier separation process in the unfortunate event of a divorce. We can help you determine if a prenuptial agreement is appropriate for you and, if so, work with you to create one that protects you going forward. Prenuptial agreements do not deal with child custody or child support. 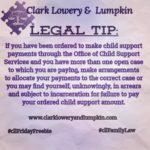 Parties cannot pre-determine child support or custody because the law regards child support and custody as being a right of the child that prenuptial agreements cannot override. 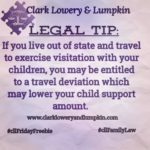 Judges make the final decision on custody and child support and these issues must be determined at the time of dispute since no one can predict all the circumstances that will exist at the time of a dispute in advance. Prenuptial agreements cannot restrict or impose the non-financial rights and duties of either party. Courts will not enforce prenuptial agreements stipulating who does the laundry, or takes out the garbage for example. 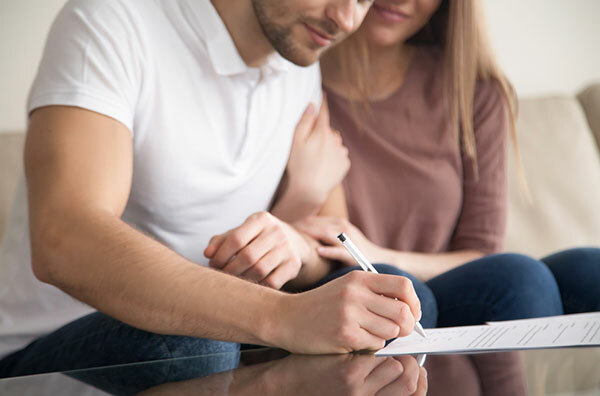 While a prenuptial agreement can determine how you and your spouse’s property is distributed after death, we recommend each spouse have a Last Will and Testament to detail what happens to your property upon death. Prenuptial agreements do not prevent you from willing or giving your property to your spouse.